Vous pouvez nous aider à soigner Lobai en parrainant un chimpanzé sur le site de PROJET PRIMATES FRANCE, Lobai et tous les chimpanzés ont besoin de vous! Update: Lobai may have malaria as he was still not feeling well, with cyclic pics of fever. He is under treatment, let’s hope he will feel better soon! Help the CCC to take good care of Lobai by sponsoring a chimp on the website PROJET PRIMATES FRANCE. It will take only 2 minutes. 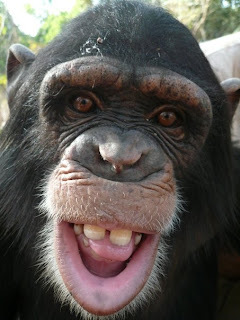 Lobai and all the chimps need your help!